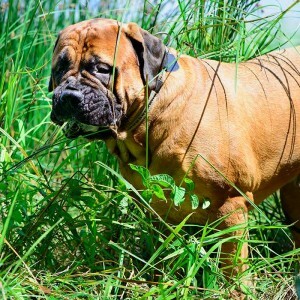 You may have thought that it’s not all that important to keep a dog’s ears clean. In fact, many dogs will go their whole lives without getting their ears cleaned. It’s not because they don’t need a good cleaning every now and then, but because we generally just assume that dogs are animals and animals simply look after themselves. 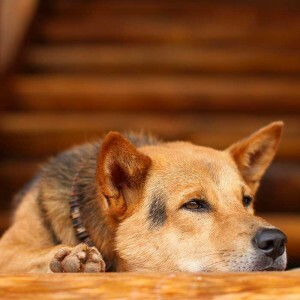 The truth of the matter is that, like humans, dogs can easily get substantial build-ups of ear wax and other dirt in their ears. Sometimes, if left untreated, the dirt becomes too much of an irritation and allergies may flair up, resulting in serious infection. At Bow Wow Meow we are all about looking after your four legged friends, so we’ve decided to put together a useful guide to help you to get your dog’s ears cleaned properly. It doesn’t take that much effort and, once you’ve done it the first time, it’ll be a breeze the next. Be prepared: get the right tools for the job. The first thing you’ll need to do is make sure you’ve got the right tools for the job. 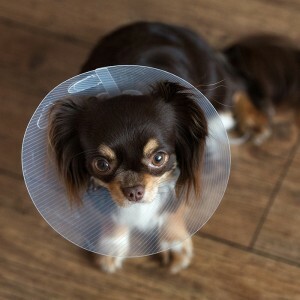 Dogs’ ears are very sensitive and it’s important to take care when handling them. Cotton swabs are great for human ears but because a dog can’t tell you when something is hurting them, they may be just a bit too risky for this job. If you don’t have them already, buy a bag of cotton balls from the chemist, together with a pair of rubber gloves for hygiene. You’ll then need to get your hands on an ear rinse that is safe for your dog. We recommend speaking with your vet to organise the best product for your pet. There are a number of great products for ear cleaning on the market, however you’ll want to get a one that is antibiotic, steroid and alcohol-free. Make ear cleaning fun with treats or play. Your dog is not going to want their ears cleaned. It’s a strange new experience and one that will be focusing on a very sensitive area. You’re going to have to work with your dog on this one—take it step by step and remember that the odd distraction will work wonders. Just like teaching any dog new tricks, you’ll want to make it as much of a ‘fun’ experience as possible. It won’t hurt to give them a big pat before cleaning their ears or playing with them for a bit. Treats are also a great way to make them happy and relaxed for the process. 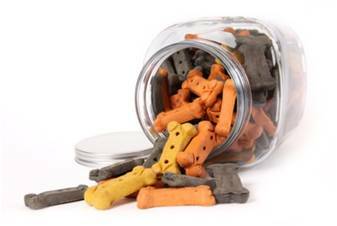 It won’t hurt to give your dog a treat or two at each step along the way. Remember that, in many ways, ear cleaning will feel like a vet visit so anything to help them relax and make it a positive experience is a plus. The set-up is one of the most important steps. Remember to have everything you’ll need (and perhaps even more) before you begin the process. Once you begin, the worst thing that can happen is discovering that you’ve forgotten his doggy treats or you’re running out of cotton balls. Have everything neatly separated and within arms’ reach. Believe us when we say you’ll thank us later for this reminder—once you’re having to stand up and go to the next room to fetch something, you can say goodbye to any cooperation you thought you had. Here’s how it’s done—the best way to safely clean your dog’s ears. Hold your dog snugly and wait until they are calm. This might take a little while and some patient patting and treat-giving may be required as they’ll likely know something’s up. Wet a cotton ball in the ear rinse you’ve chosen. Wet the cotton ball well but avoid having it drip with excess liquid. Never pour solution into your dog’s ear as this can cause a great deal of discomfort and even damage. 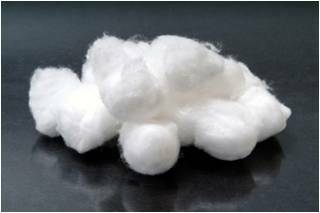 Now, take the cotton ball and begin to clean your dog’s ear from the outside first, working your way in to the centre. 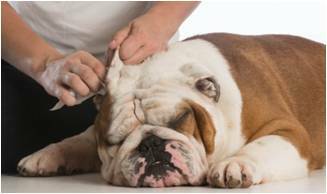 Once you get towards the centre of the ear you may begin to feel increased resistance from your dog. Some is normal, but if they begin to pull away strongly, you’ve gone far enough. It’s sometimes difficult to tell if you’re hurting your dog or if they’re simply being nervous. We recommend erring on the side of caution and avoiding any damage. 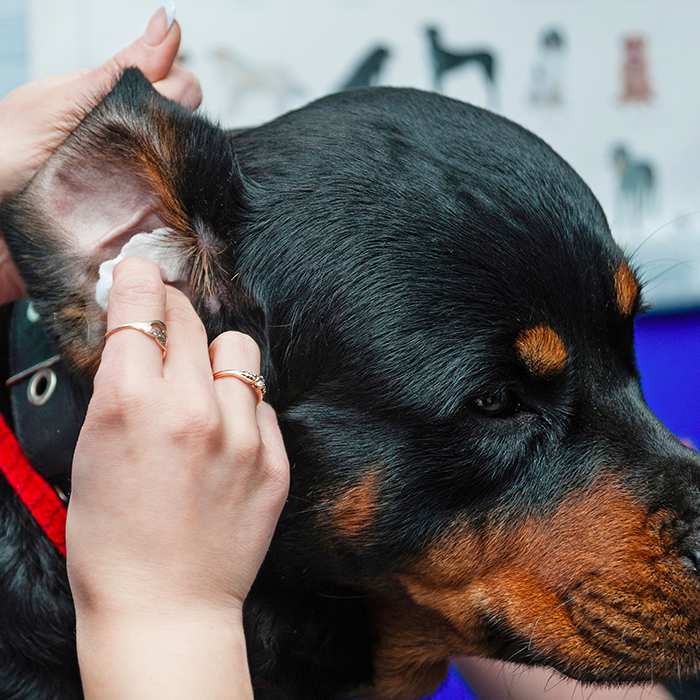 Your dog’s ear is far more sensitive than our own and it’s important to stop when they begin to show signs of discomfort. While cleaning your dog’s ears out regularly is a good habit to get into, the process won’t necessarily help existing problems. Your dog may have a foreign object in their ear like a trick or a grass seed that will cause them discomfort. If you’re convinced that after cleaning their ears they’re still showing signs of irritation, the best thing to do is to see your vet.